This post will be brief. 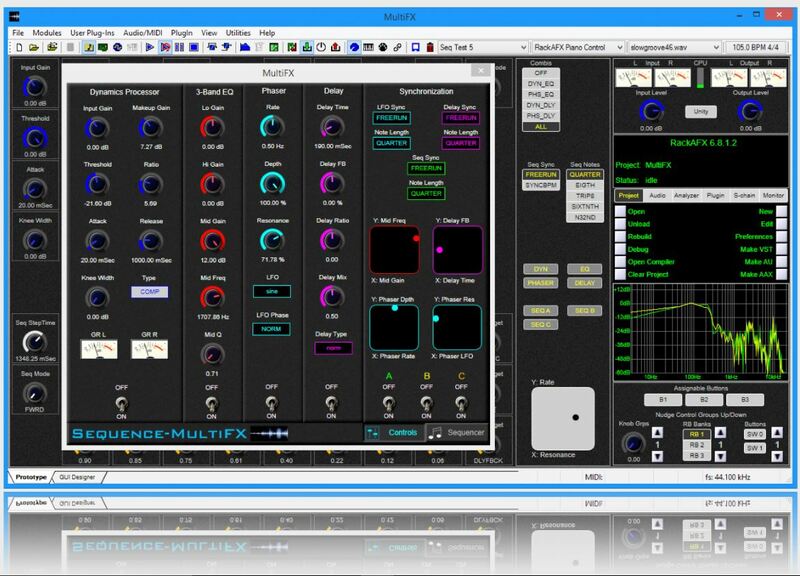 I just wanted to mention something about a nice learning platform designed by prof. Will Pirkle and also refer to two of his excellent books for learning practical DSP synthesizers, filters and effects. 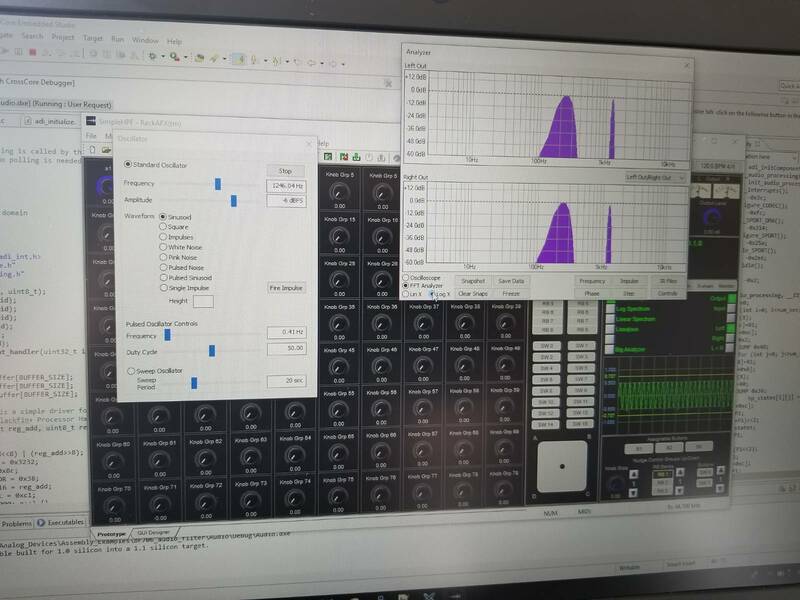 Here is how I use RackAFX to test filters and designs I create on the ADZS-BF706-EZMINI...A picture is worth a thousand words. I make most of the designs educating myself using RackAFX and learning the inside knowledge shared by prof. Pirkle in his book on Designing Synthesizer Plug-Ins and Designing Audio Effect Plug-Ins. Here are the links to these two most excellent books in the links below. 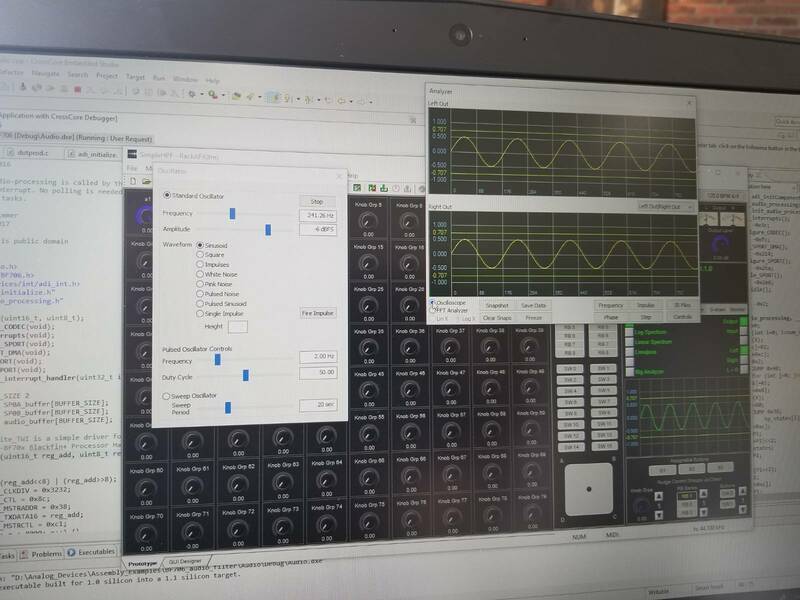 The Oscillator section from Will Pirkle's RackAFX passed through the ADZS-BF706-EZMINI. 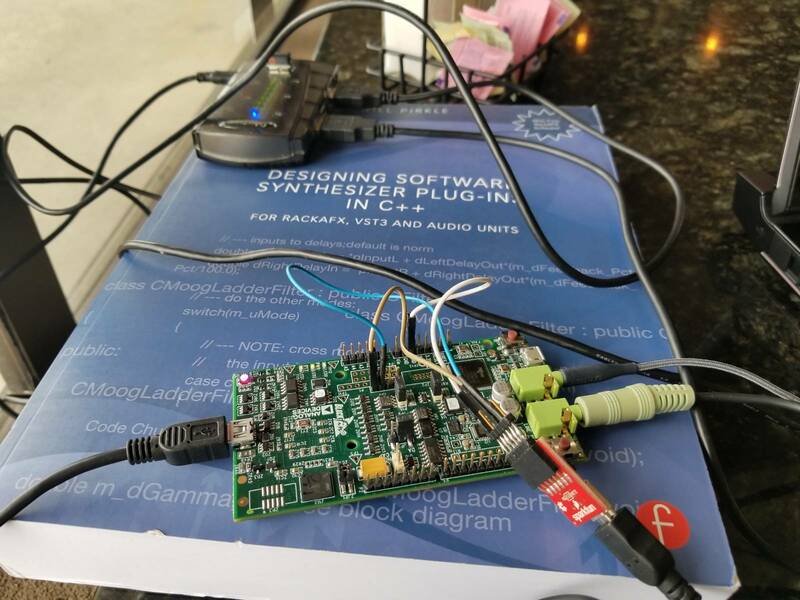 You can view on an software oscilloscope the waveforms characteristics passed into your DSP Kit and it works amazingly well, no pops or clicks. Sorry, but I made a mistake in my post above on RackAFX claiming that it was a harmonic on the oscillator. That is a feature called a Snapshot, so I accidentally hit the snapshot button and had a long laugh later! You can easily clear stored snapshots using the Clear Snapshots button! Thanks for sharing this, appreciate it. You bet! Thanks for checking out my blog...More will be on the way soon!